This large mixed media painting was inspired by a very old cancelled check written to Kimball’s Dairy that I discovered among some vintage papers. I can only imagine how different life was for the person who signed it… or maybe it wasn’t so different. 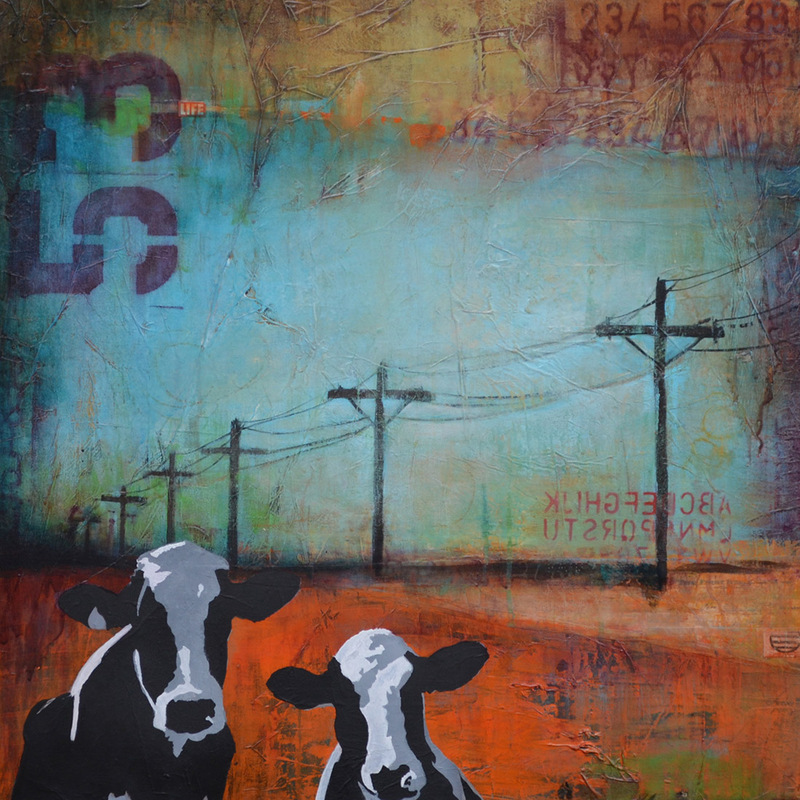 Maybe she painted in the evening after her chores were finished….maybe he loved his cows and had pet names for them all. I’ll bet their hands were rough from the work they did, just like mine. I layered the vintage check into the painting. You can see “Kimball’s Dairy” very faintly through the golden yellow paint under the larger telephone poles. This 30×30 painting is rough and messy with many layers. The crisp black and white cows contrast interestingly with the colorful background. The colors of orange, blue, gold and purple layer together into beautiful mix.